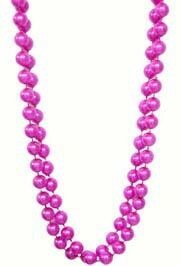 Luau beads are also great for Mardi Gras. 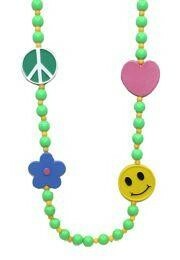 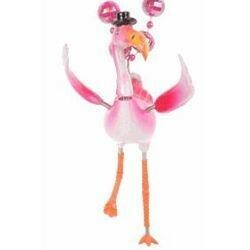 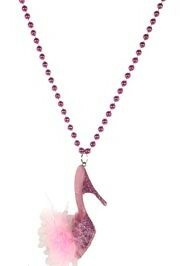 We have flower leis, flamingo beads, flamingo necklaces, dolphin beads, flip flop beads. 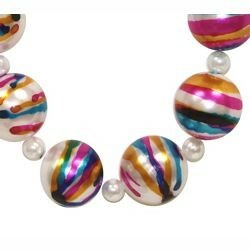 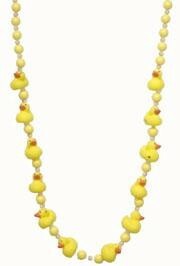 The Mardi Gras Luau beads and necklaces come in a variety of lengths and colors. 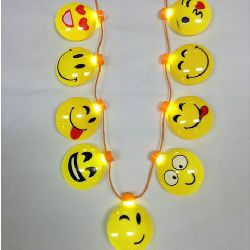 |< << 1 2 >> >| Displaying 1 to 20 of 33 Items Found. 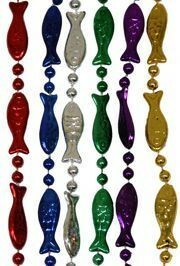 Our 33in Color Fish/Seafood Beads come in 6 metallic colors. 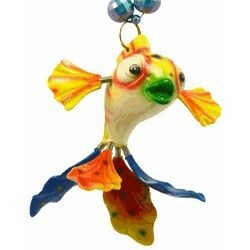 Fish Beads or fish shaped beads come in the colors of: red fish beads, blue fish beads, silver fish beads, purple fish beads, green fish beads, and gold fish beads. 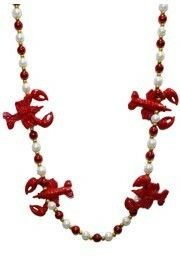 Our Red Crawfish Necklace comes on a 33 inch set of red beads. 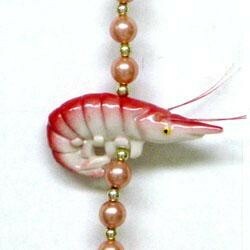 The string beads are 7mm round and metallic red with a 3in red crawfish medallion. 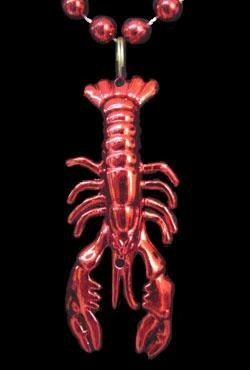 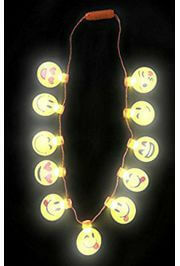 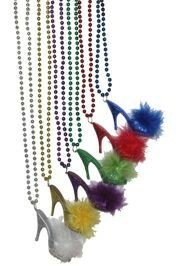 These are great for Mardi Gras parades and crawfish boils. 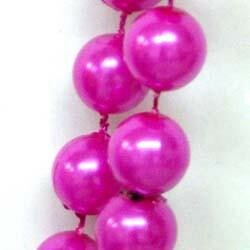 A pack of round hot pink pearl beads. 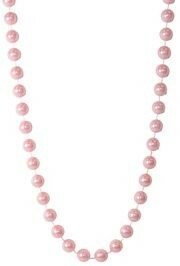 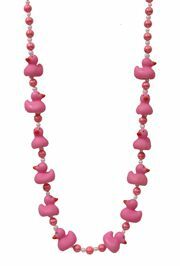 These beads are great for Mardi Gras parades and breast cancer awareness events. 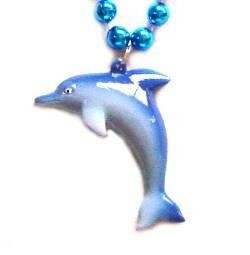 The Aqua Dolphin necklace is 33in in length with a medallion. 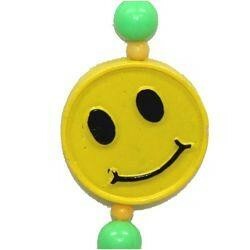 The aqua beads are 10mm in diameter with a dolphin medallion attached. 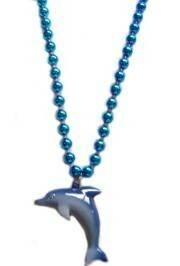 These Dolphin necklaces are commonly bought by schools, colleges, businesses, and for Mardi Gras parades. 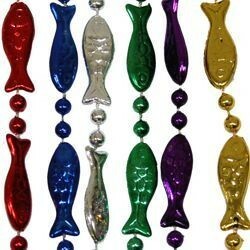 The beads come in either purple, green, gold, red, silver or blue. 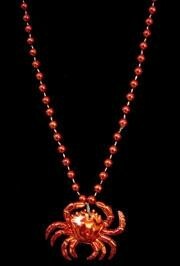 Each necklace has 5 3-Dimensional flip flop medallions. 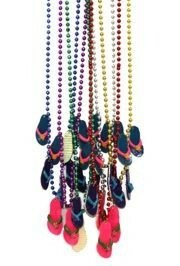 Perfect for pool parties and luaus. 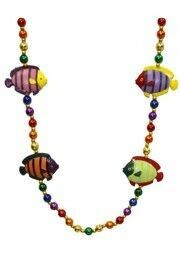 This tropical Fish/Seafood necklace is ceramic with color beads and 4 fish medallions. 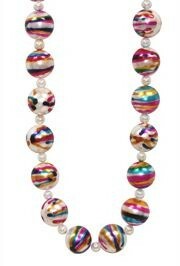 These stone beads are 42in long. 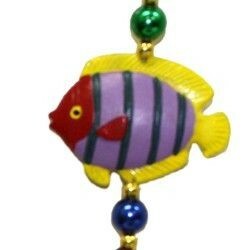 The Fish Beads are 3-Dimensional and are hand painted beads. 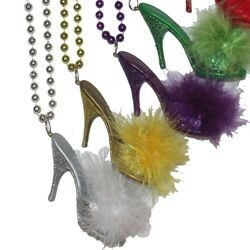 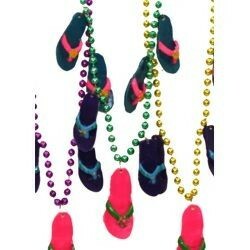 This hand-strung specialty bead is a great Mardi Gras parade throw and will be the prize of anyone who catches it. 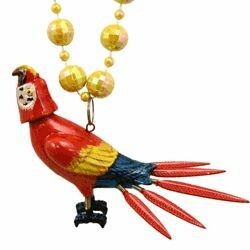 This is also a great Luau Bead. 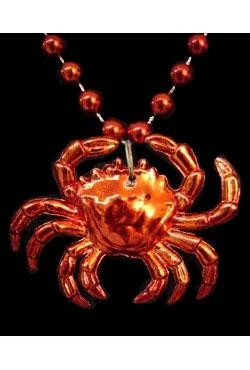 Crawfish/Lobster/Seafood Necklaces with four crawfish medallions are 42in in length. 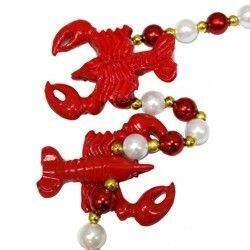 Crawfish and Lobster medallions are separated with 12mm Metallic Red beads, White Pearl Beads, and 5mm Gold Spacers. 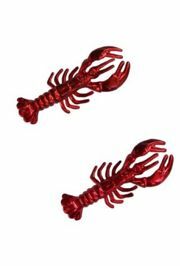 The Crawfish are 2in long and 1-3/4in wide at the claws. 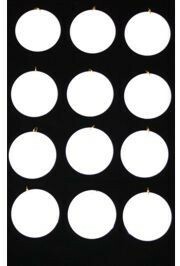 The medallions are flat on the bottom. 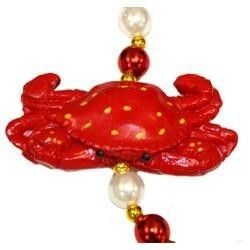 These are great hand strung beads that are representative of Louisiana and Cajun Country. 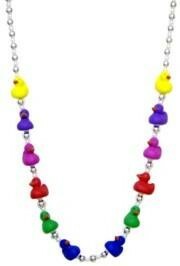 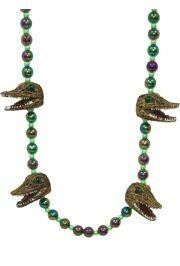 The Alligator Heads/Seafood Necklace is 42in long with green beads. 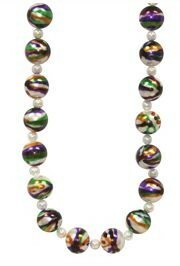 The hand strung specialty bead has 12mm Black AB beads with green 6mm spaces. 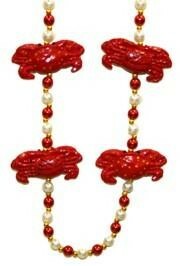 There are 4 Ceramic Alligator Head medallions. 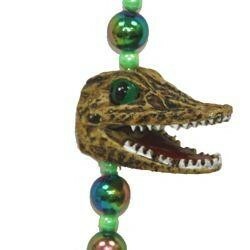 These would be suitable as Gator beads or Crocodile Beads. 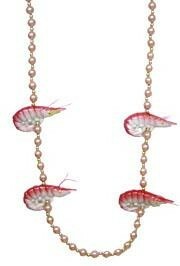 This necklace has 4 jumbo shrimp medallions. 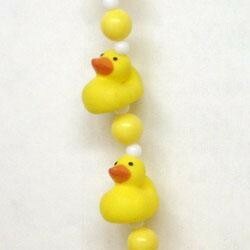 These beads are great for parades, parties, and more.